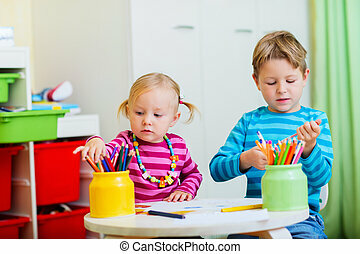 Brother and sister drawing. 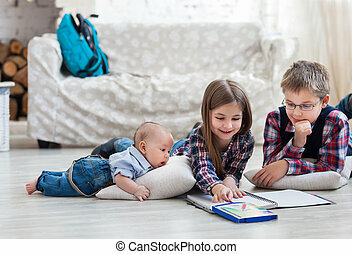 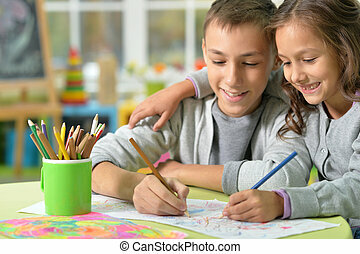 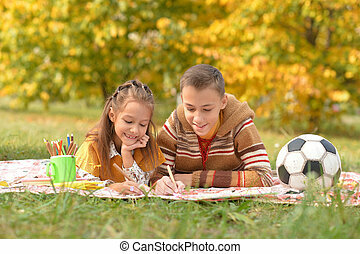 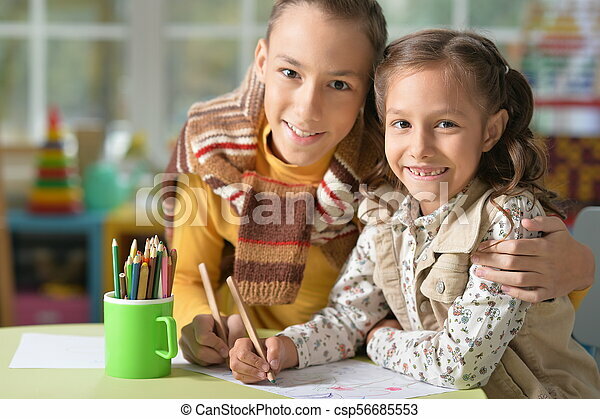 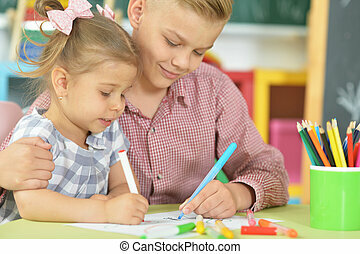 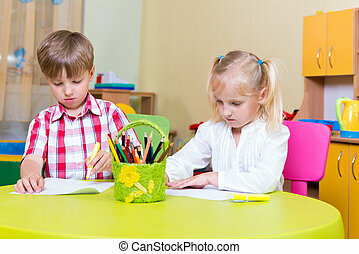 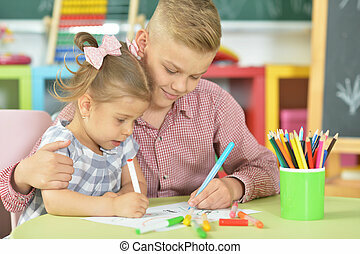 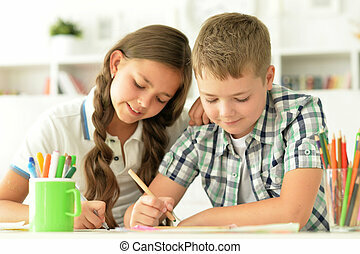 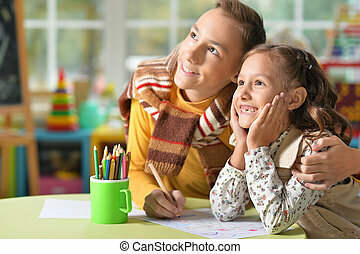 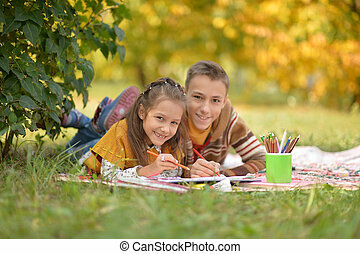 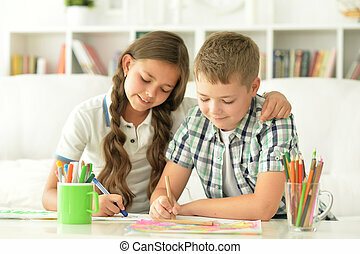 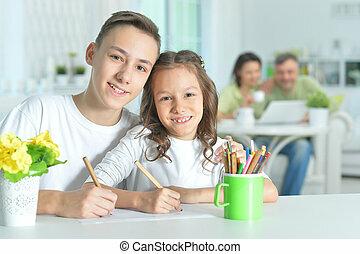 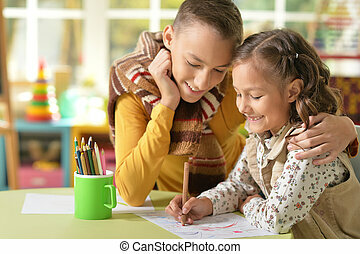 Portrait of smiling brother and sister drawing together. 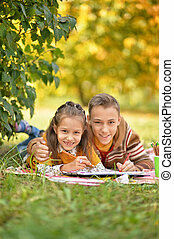 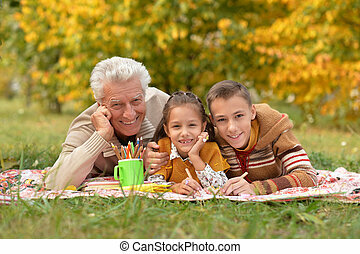 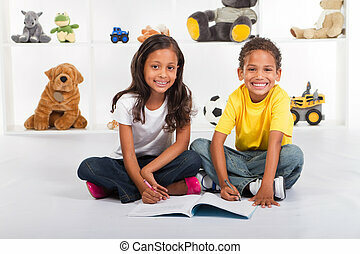 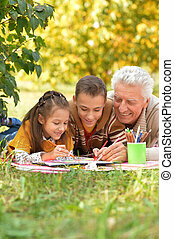 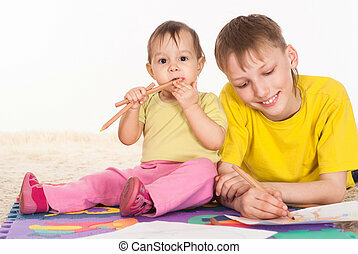 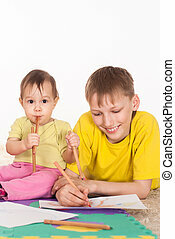 A young brother and sister, quietly entertaining themselves by drawing their favorite picture with colored pencils. 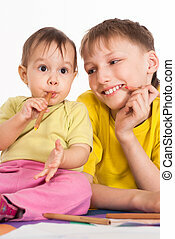 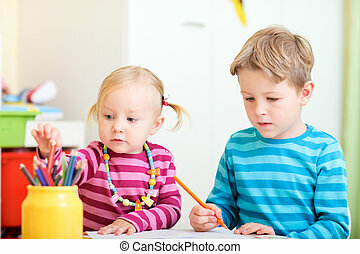 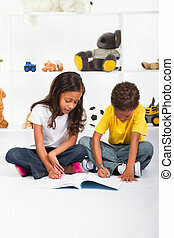 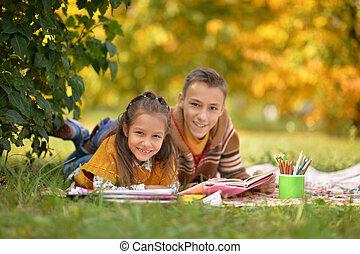 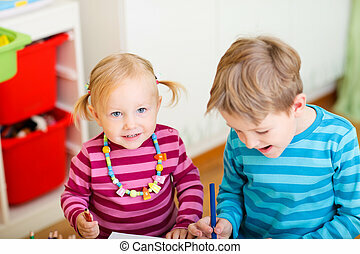 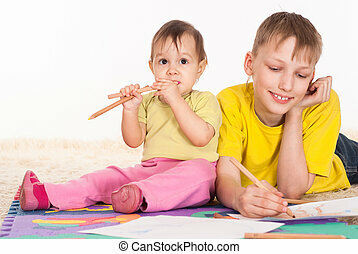 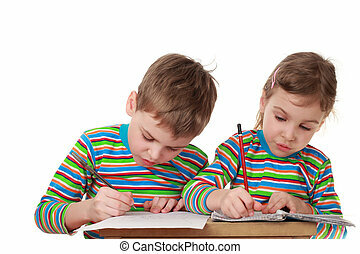 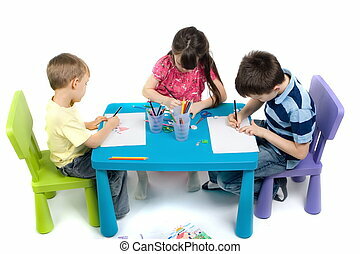 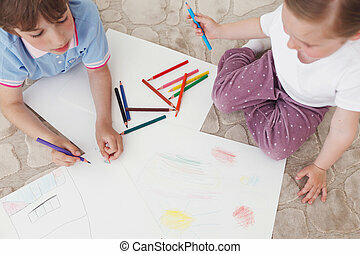 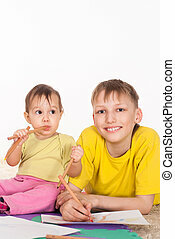 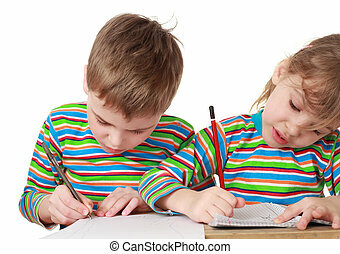 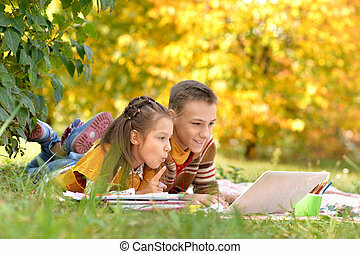 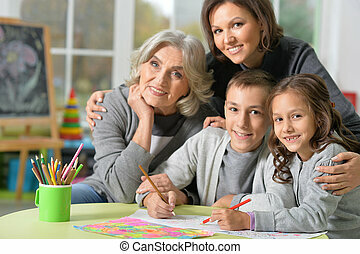 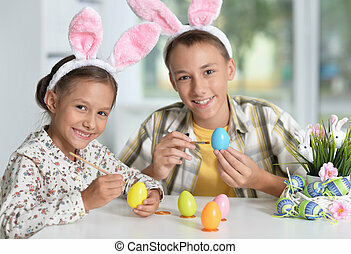 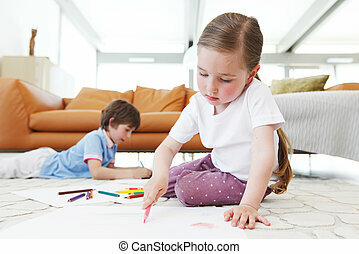 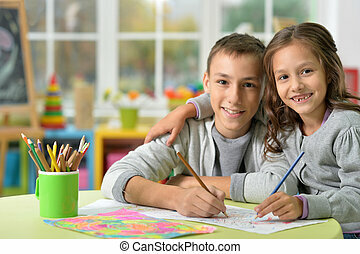 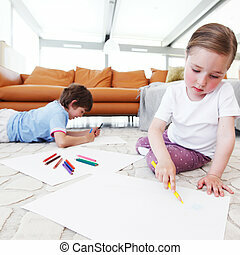 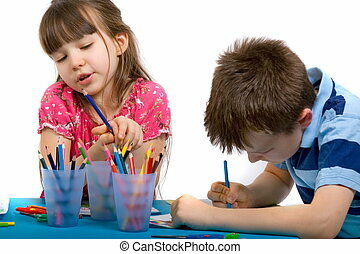 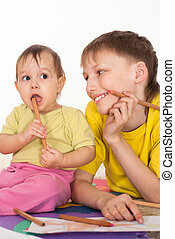 A young brothers and sister, quietly entertaining themselves by drawing their favorite picture with colored pencils.